My experience with Christina was absolutely wonderful. She came by the room every day after my surgery to take care of me, everything from changing tubes, helping me shower and getting me dressed. She’s a very caring and genuine person and after a couple days we were sharing pictures of our children and chatting about different things. I consider myself very lucky to have had her for my nurse. Everyone is Alaska will get to hear my wonderful experience in Cancun. My Medical Vacations should be very proud to call Christina an employee. She is truly an asset to the company and definitely an asset for all of her patients. 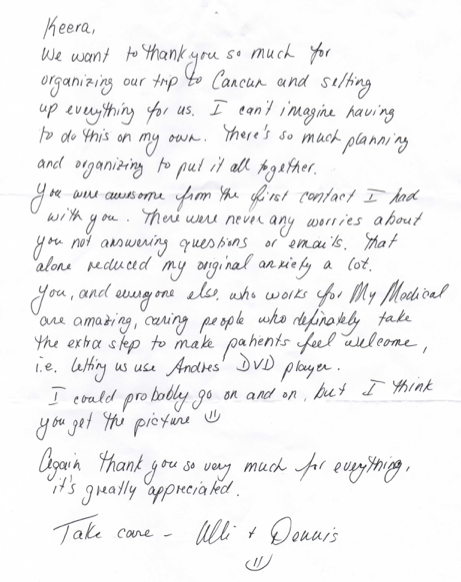 We want to thank you so much for organizing our trip to Cancun and setting everything up for us. I can’t imagine having to do this on my own. There’s so much planning and organizing to pull it all together. You were awesome from the first contact I had with you. There were never any worries about you not answering questions or emails. That alone reduced my original anxiety a lot. 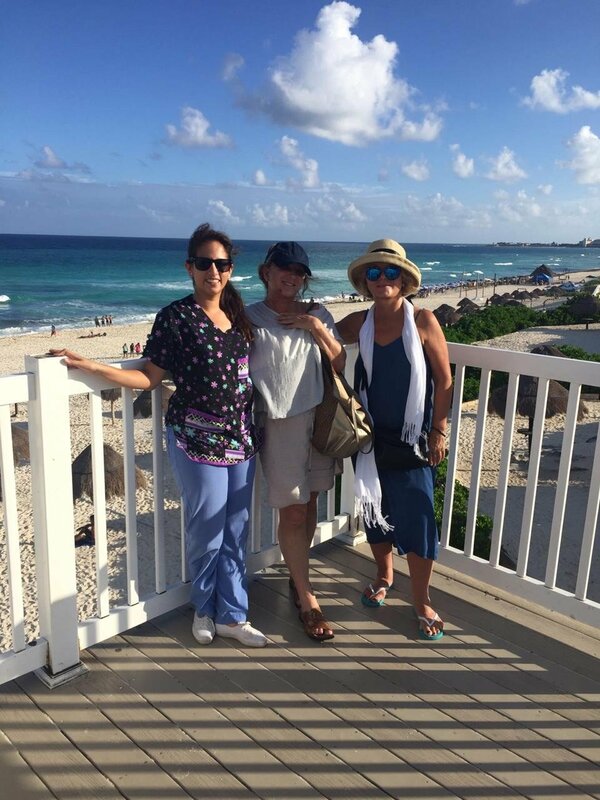 You and everyone else who works for My Medical Vacations are amazing, caring people who definitely take the extra step to make patients feel welcome. i.e Letting us use the DVD player. Again, thank you so much for everything. It is greatly appreciated. Testimonial Tummy tuck and Lipo.